6.L.2.3 Summarize how abiotic factors of biomes affect the ability of organisms to grown, survive, and/or create their own food through photosynthesis. 6.SI.1 Analyze resources to determine their reliability, point of view, bias, and relevance for particular topics and purposes. 6.TT.1 Use technology and other resources for the purpose of accessing, organizing, and sharing information. 6.RP.1.1 Implement a research process collaboratively. 6.SE.1.1 Apply ethical behavior (copyright, not plagiarizing, proper netiquette) when using resources. Your assignment is to research one environmental issue that is a problem in your biome, then your group will make a public service announcement detailing the issue and some solutions. As a group, brainstorm basic facts about your biome. Brainstorm together to create a list of possible search terms to help you find the information you need. Learn about using Google Advanced search from Ms. Willis. Gather and organize the information you need. Begin the storyboard for your public service announcement. Learn about creating Citations and a Works Cited page. As a group, create citations for the web sites you used to gather your information. As a group, decide what type of PSA you will make. Do you want to act it out or make a timelapse movie? Once you have chosen, move onto the next part of the project. It is important to plan your video before you start. The process of planning a video project is called a storyboard. A storyboard helps you think through your shots and your script before you start writing and filming. 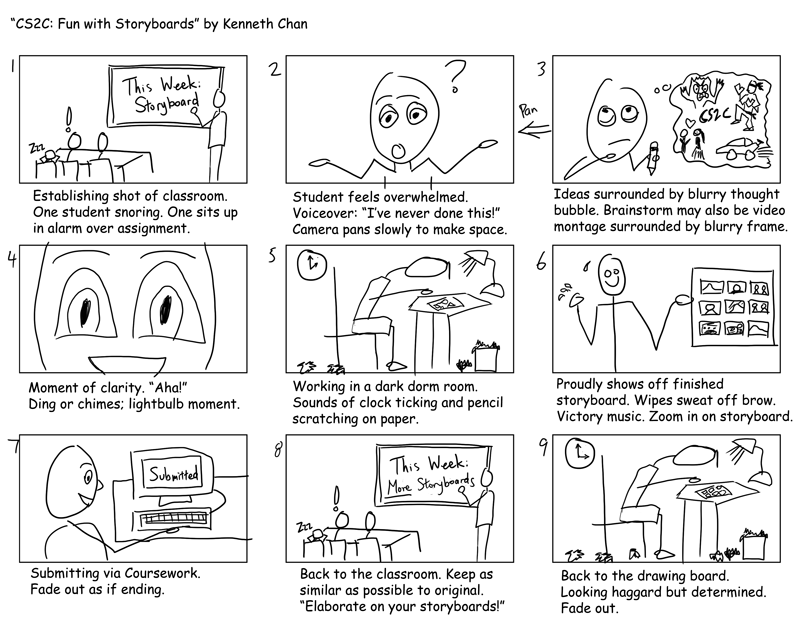 Check out this example of a storyboard. Complete your storyboard. You can use this template if you want, but you do not have to if you would rather draw it out. Your storyboard must be approved by a teacher before you can move onto the script. Write your script using Google Docs so everyone can edit it at the same time. To log into Google Docs, click here. Use your storyboard to help you write your script. Your script must be approved by a teacher before you can begin filming your PSA. Use a camera to begin filming your Public Service Announcement. You can use iMovie on your own device if you have it to edit or you can use Movie Maker on the computer. You need whiteboard and whiteboard marker. Use one of Centennial's iPads to film your whiteboard creation using the Timelapse app. Here are some examples. Put the video in Movie Maker on the computer and then read your script for each slide. Upload your final movie here.